Beyonce’s daughter Blue Ivy is no stranger to the red carpet. 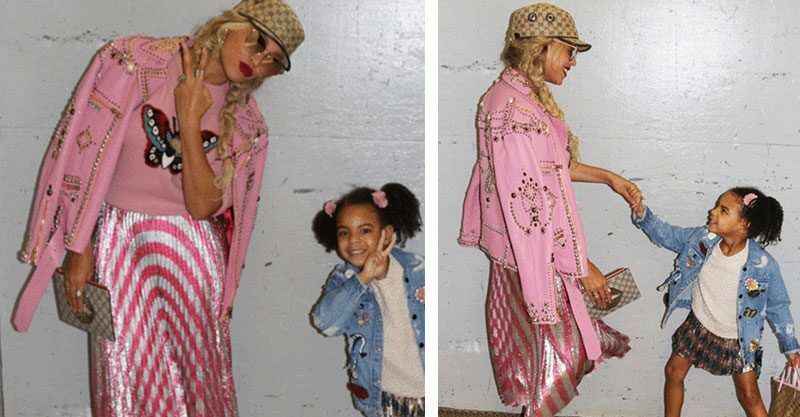 Some celebs keep their kids far from the prying eyes of the paparazzi, but Bey is happy to take her daughter to work and make the most of their time together. So how does she protect her daughter from the brunt of the limelight? We’ve noticed that Beyonce has a super tuned-in approach to her cute kid when she’s involving her in work-related activities. 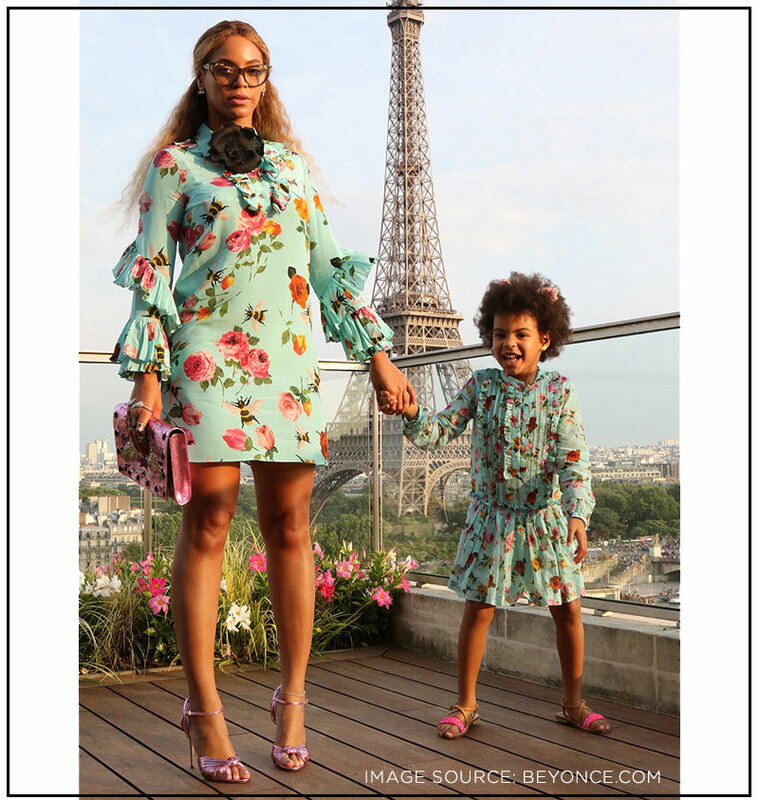 Bey builds in fun surprises and is vigilant if things start to go pear-shaped, proving that she’s a lot like most smart mums when it comes to managing her child’s behaviour. Remember that time she put a lid on photographs at the step-and-repeat during the Video Music Awards (VMAs), because Blue Ivy was getting overwhelmed? It was the sensible regular mum response in somewhat irregular circumstances. Or the time Blue Ivy and Beyonce had that photoshoot in Paris? Adorable twinning outfits reinforced the family bond and made everyone look special and feel secure in front of the camera. The latest in Bey’s adventures with Blue Ivy involves a completely cute mummy-daughter handshake. It just might be designed to reinforce the parent-kid bond and steady both parties in the face of noisy, flashing paparazzi. You can watch it below (or on Beyonce’s Instagram) and note the very, very secret signals contained within. It goes a little something like this: Face each other, join hands, hand up, smile cheesily, hand across heart, peace sign to onlookers/photographer, more cheese-ing! It’s really interesting to see how this high-profile mum approaches balancing parenting with her media obligations. Like all of us, she’s fronting up to work each day to make a better life for her family. She’s lucky enough to have a ridiculously high standard of living, of course, in comparison to most of us. She’s also fortunate enough to be able to do what she loves and take her child along for the ride, mostly on her own terms. Still, it’s heartening to see that we all struggle with getting the balance right and it’s interesting to see the rituals and rewards (amazing, sparkly, hugely fancy fairy dress, anyone?!) that other parents adopt to make things run more smoothly.